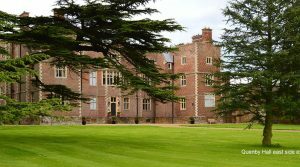 Jacobean Quenby Hall was recently converted back from a cheese making factory and wedding venue to become a family home again. 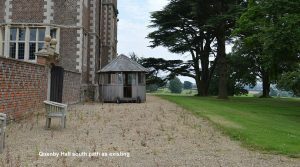 Little remains of any historic gardens with just the walled kitchen garden planted with a modern formal layout. 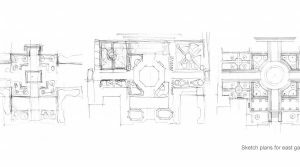 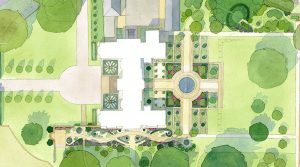 Our brief was to design enchanting and sheltered gardens around the hall whilst enhancing its setting, creating space for planting so it softens the facade and makes the building ‘more friendly’, feminine and soft. 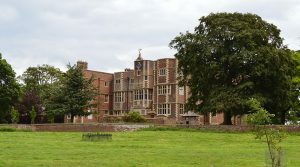 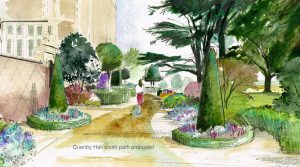 A new design for the south front consists of a winding path between high topiary planting, curving low clipped hedges and aromatic herbal planting in gravel beds running from a curved bench embedded in the perimeter west wall to the eastern garden. 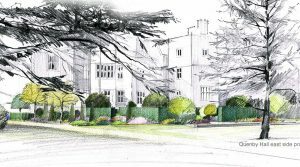 Trunks and the canopies of the huge cedar trees frame views over parkland to the distant countryside. 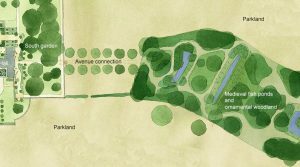 Designed to fit the proportions of the space and complement the scale of the building, the much-enlarged eastern garden is being converted into a large flower garden with a new circular pool in its centre, all enclosed by hedges and large rectangular flowerbeds and linked by stone and gravel paths. 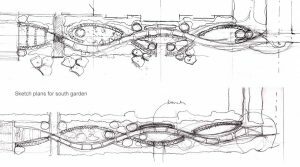 Differences in levels are to be exploited to create the garden on a terrace slightly raised above the lawn. 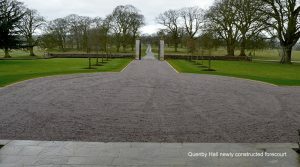 The approach drive and forecourt have been re-shaped with simple crisp lines. 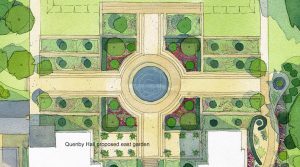 Knot garden parterres beside the entrance steps were inspired by the geometric ceiling patterns from rooms inside the house. 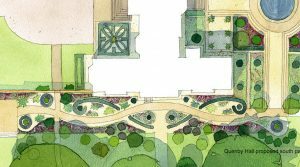 The garage courtyard is to be re-paved to address problem slopes and have planting clothing the walls to enliven the north-facing yard.